Long before the Stan Smith overtook the feet of bloggers, celebs, and editors alike, there was another white sneaker brand that reigned supreme: Superga. Promoted by celebrity endorsers like Alexa Chung, Rita Ora, and Suki Waterhouse (and backed by the Olsen twins, as creative directors), the Italian canvas sneaker brand has steadily held its spot as the OG white sneaker since its founding in 1911. And although the classic kicks weren’t crazily out of budget at $65, the brand has now made itself even more accessible by launching a collection with Target. Today, Superga announced the exclusive partnership with the megachain: a line of 12 sneaker styles, all under $35. One of the styles is an almost identical version of the company’s iconic white sneaker, for less than half the price of the original shoe—a pretty sweet bargain. Perfect for those who have trouble keeping their white sneaks clean—or maybe yours are out at the cleaners?—these may be a good option to stock up on. Plus, with other equally cute summer trend sneakers (hello, Fourth of July-themed sneaks!) it’s a great time to grow your summer sneaker collection. While the line won’t hit stores until June 26, you can shop the entire collection online right now. 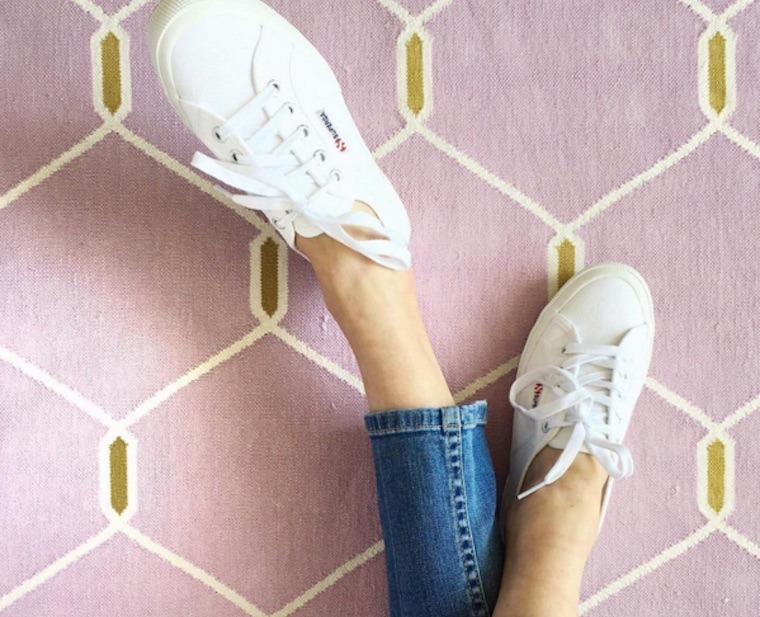 For a sneak peek, scroll down to see a few of our favorite Superga x Target styles. Now that your footwear’s on #fleek, get the rest of your summer wardrobe in check, with these stylish swimsuits (that can actually handle an summer activity) and the most Instagrammable outdoor swag around.